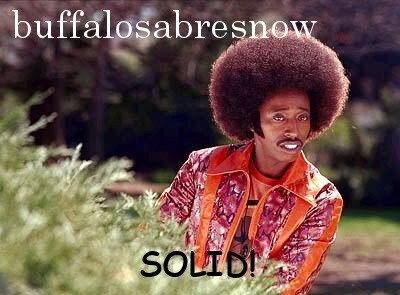 buffalosabresnow: Exansion draft protected list--final version. GM Jason Botterill and the Buffalo Sabres will be submitting their expansion draft protected list by 5 p.m. Saturday and things are working in their favor. Unlike the Minnesota Wild who are destined to lose a significant piece to their roster puzzle, the Sabres have enough room for their key pieces. Part of it is that Buffalo still doesn't have a the talent that some other teams have and part of it also revolves around the fact that some of their key players are automatically exempt. In saying that, Botterill will need to make a couple of decisions while having to choose between protecting a young player and an older one. Case in point, the goalie situation. Each NHL team must expose one goaltender. Buffalo will need to choose whether or not they will protect 25 yr. old Robin Lehner, their starter last season, or 23 yr. old Linus Ullmark, who's been paying his dues and moving up the ladder. I posted version 1.0 of my protected list on May 15 but I'm going to make one change to it. In the earlier version the goal was to expose as much salary as possible and in the process it was believed that forward Tyler Ennis would be the player Vegas Golden Knights GM George McPhee may end up taking. Ennis is a good player who put up good numbers before battling injuries the last two seasons. In the last version I also chose to protect defenseman Taylor Fedun, who may not need protection, unless you believe the Knights would sign the UFA. In that case, that takes care of Buffalo's one player contribution to Las Vegas' roster. However, it might be best for Buffalo to protect Justin Falk instead. Defensemen: Zach Bogosian, Josh Gorges. There are other UFA's like Fedun available and some RFA's like defenseman Brady Austin and Justin Kea, but nobody that would make management lose any sleep over. Here's a reprint of Version 1.0 with Falk added and Fedun removed. ForwardsKyle Okposo--this was an easy one as he was already checked because of his no-movement clause. Even if Okposo didn't have that clause, it's still an easy one as he's their top right-winger. Ryan O'Reilly--another easy one. O'Reilly is the Sabres best two-way center and their premier all-situations forward. Despite lacking numbers that some would suggest don't justify his cap-hit, Botterill has already singled him out as one of two centers teams "crave." Evander Kane--over the course of the last 11 months many thought he would be a perfect candidate for exposure as his $5.25 million cap-hit, average production and off-ice issues seemingly had him out the door in one way or another. However, a 28-goal season changes the conversation completely. Marcus Foligno--he's a big body that can hit, fight, play defense and score. He was placed well above his talent-level last season while getting an inordinate amount of time in the top-six, but he did manage a career-high 13 goals and there's no reason to think that he can't continually produce double-digit goals in a bottom-six role. Zemgus Girgensons--the former first-round pick was the first player in former coach Dan Bylsma's doghouse but with Bylsma gone things could be different. Girgensons doesn't seem to have the offensive acumen for a scoring role and at 23 yrs. 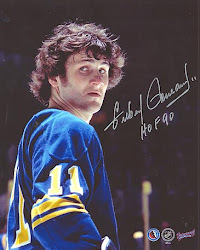 old he could be settling into the player he is, but he works the forecheck hard, defends well and, unlike former Sabre Mike Grier who had very similar traits, can score on a breakaway. As of right now he's a very solid bottom-six player that every team could use. Johan Larsson--he and Girgensons have basically come up through the ranks in Buffalo together. Larsson is known for his pesky play and defensive acumen, but he can score as well. Before his injury he was Buffalo's third-line center and didn't look out of place. It was a pretty gruesome injury, however, and we've not heard anything as to his recovery time or prognosis, but based upon his play, he's another strong bottom-six player. William Carrier--although he had a rather pedestrian rookie campaign in Buffalo that was also cut short by injury, Carrier's got the wheel's Botterill seems to like. At 6'2" 212 lbs. he's got heft as well but it doesn't detract from his skating one bit. Carrier climbed through the ranks in Rochester and upped his production in year-two for the Amerks. There's no reason to think that he can't continue to develop in Buffalo and may end up being at least a top-nine player for the Sabres. Rasmus Ristolainen--another no-brainer. Enough said. Jake McCabe--a new GM usually talks in generalities at his introductory presser, especially when it comes to the roster. Players like Jack Eichel, O'Reilly and Ristolainen are well-known commodities and referencing them by name is not unusual. But Botterill also mentioned McCabe by name as well while also mentioning that he thought McCabe had some untapped offensive, puck-moving potential. McCabe is already known for is solid defensive work and also laying out big hits so adding in more offense would really round out his two-way game. Justin Falk--Perhaps when Murray extended Falk in February, he was doing so in order to leave him exposed. Or perhaps he thought, like many watching seemed to think, that Falk had carved himself out a niche as a depth defenseman at the NHL level. He was very steady for the Sabres last season and there's no reason to believe he'll be anything else moving forward. Even if Buffalo brings in enough defensemen to push him down to Rochester, the Amerks are always in need of quality vets to help the youngins along. Linus Ullmark--there are a lot of angles for this choice beginning with Botterill having no ties to Lehner who surely would have been protected over Ullmark under Murray. Lehner played well for Buffalo last season, as his numbers would indicate, but there's a sense that many are not convinced he's the answer going forward and a lot of it has to do with him looking very shaky in odd-man rush situations and breakaway situations, the shootout in particular. And with the market being somewhat set by Ben Bishop's $4.9 million cap-hit in Dallas, the Sabres may be looking at a $4-4.5 million Lehner contract extension that Botterill might not be thrilled with. The Sabres could be placing themselves in treacherous waters if Lehner were to be snatched up by Las Vegas, but I don't think the Knights would do it and even if they did, Ullmark, with a strong veteran presence as a back-up, looks like he'd be able to handle the heat. By protecting Ullmark, odds are that they could go into the season with a Lehner/Ullmark tandem if Lehner went unprotected.